Reincarnation is an ancient idea that some folks love and others find threatening or dangerous. Hindus, Jains, Buddhists, Taoists and many New Age adherents around the world believe in reincarnation. Theories about reincarnation take several forms but, generally, the idea can be summed up as follows: The soul enters creation like a spark from a fire, embarking on a long journey through life with only a rudimentary level of awareness. Passing through repeated cycles of bodily death and rebirth, the soul gradually increases in knowledge and goodness until it eventually achieves perfection. Once perfected, the soul is liberated from the double-edged sword of suffering and desire and breaks free from the cycle of death/rebirth. At this point, the soul merges with the eternal Godhead and is no longer unique nor bound by space and time. Karma is a Sanskrit term meaning “deed.” Essentially, karma is the accumulated merit and demerit of one’s past-life actions. Morally good and bad deeds accrue on a kind of cosmic balance sheet. Good deeds reap future benefits. Bad deeds bring misfortune and suffering. But it is not quite that simple because in theistic religions (religions that believe in a deity or deities) God’s grace may mitigate the negative effects of bad karma. And even though Buddhists see God as a mere conceptual construct instead of an all-powerful being, some Buddhist schools claim that the compassionate gaze of the bodhisattva is similar to the idea of God’s grace. Not unlike an all-powerful creator God, the bodhisattva may lessen the negative impact of bad karma. Many Indian gurus claim that negative karma may literally transfer from a disciple to a teacher. 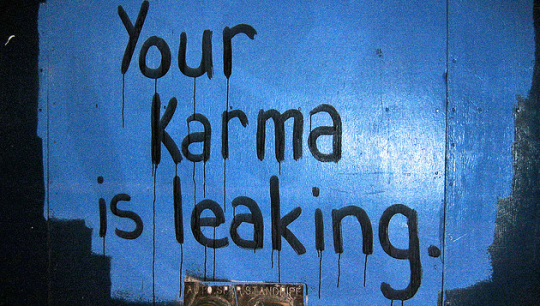 Karma mystically flies, they say, from less to more pure souls. This transfer of bad karma is experienced by the pure soul in various ways. Spiritual ‘pollution’ is a term many gurus use to describe these impure spiritual elements they have reportedly picked up from their disciples. Some folks are convinced they have lived past lives and it is conceivable that they have. But it is also possible that they interpret unusual experiences so as to believe in reincarnation when in actual fact they haven’t had any past lives at all. In addition to alleged flashbacks and past life regressions, we hear stories about individuals claiming to have located objects in distant countries they have never visited. And some speak of esoteric yet seemingly rational connections from past lives to present life as if they encounter a growing sense of recall. But none of this proves the belief in past lives. Another explanation is that these believers are being deceived by demonic influence. The idea of demonic deception might sound a bit less strange today with the success of TV shows like Buffy the Vampire Slayer and Supernatural. It may still sound marginal to some, but it is arguably no less weird than the idea of reincarnation, which many readily accept. Father Edward Malatesta, S. J. writes on the deeper, fuller meaning of discernment. To return to the idea of reincarnation, many believers say destructive personality traits carry over from past to present lives. Within Catholic mystical theology, however, bad things experienced in one’s present life could be taken as evidence of demonic obsession or possession. In the Catholic sense, obsession is the unhealthy and significant influence of evil spiritual powers or beings, whereas possession is a permanent, temporary or sporadic loss of self-control due to spiritual attack. Catholicism has no need to postulate past lives when obsession and possession explain just as well, if not better, what reincarnation theory attributes to bad karma. Another way to explain the unusual experiences often taken as evidence for reincarnation involves recent theories in subatomic physics. Instead of falling prey to demonic deception, sensitive individuals might be psychologically piercing through the veil of space-time and wrongly interpreting this as proof for reincarnation. According to recent subatomic cosmologies, past, present and future don’t necessarily follow a one-way vector nor do we experience linear time at a consistent rate. Instead, past, present, and future apparently exist in an interactive field. In his book Deep Time the physicist and astronomer David Darling argues that questions about the origins of the universe are misleading because past, present, and future exist in a unified loop. The now wherein God made the first man, and the now wherein the last man disappears, and the now I am speaking in, all are the same in God, where this is but the now. To suggest, as Darling does, that the past exists and the future is already out there doesn’t sit well with most theologians. For them, it is more prudent to say that God simply knows the past (which no longer exists) and the future (which does not yet exist). And I think it fair to ask if these theologians are simply regimented and afraid of change or whether their beliefs are reasonable. Part of the problem here relates to how we define God. Natural pantheists say God’s mind is the universe, while theistic schools believe that God (and God’s mind) differs from God’s creation (to include the universe, heaven, purgatory and hell). Roderick Main, a leading Jung scholar, says Jung “concludes that under certain psychic conditions time and space can both become relative and can even appear to be transcended altogether.”6 We cannot be certain if the past and the future exist right now but we may at least consider the possibility and, moreover, that they influence or even interact with our experience in the present. Individuals predisposed to a different kind of sensitivity could be more attuned to other time periods and souls living therein.7 If events potentially interact within space-time, this could be depicted along a horizontal x-axis. However, another axis is required to account for the moral dimension of life. Choices made at one time could impact other times (horizontal axis), but choices involving ethics could influence heavens and hells, which could be represented along a vertical axis. For instance, when we do bad things traditional believers say Satan and his demons are devilishly delighted while the angels and saints in heaven are struck with sorrow. This interactive, multidimensional model challenges prevailing assumptions about life, the afterlife, past and future.9 It cannot be proved through conventional forms of experimentation10 but those experiencing unusual psychological phenomena could interpret their experiences according to this model. Along these lines, the Protestant theologian Paul Tillich distinguishes experiential from experimental verification. Admittedly, an issue arises here that might never be fully overcome but only improved upon. This is the problem of extricating ourselves from our current beliefs and theoretical constructs. Often when I have tried to have intelligent conversations with believers in karma I have been struck by their complete unwillingness to step away from their beliefs and consider alternatives. Some believers in reincarnation seem just as dogmatic and intransigent as extremists of any kind, be they materialists, atheists, fundamentalists, liberals or conservatives. However, the history of science demonstrates time and again that dogmatism rarely paves the way for better theory. The above may appear to focus on esoteric points of little or no practical value. But considering human evolution and our existence within the extended universe, we can hardly afford, morally and economically, to stop thinking about cosmology. Instead of clinging to the past, multidimensional theory combines science, religion, and philosophy in an updated holism more appropriate to 21st-century challenges. This new approach could have a tremendous impact on education, psychiatry, religion, and several other fields. But first, the gatekeepers must realize that change is sorely needed. 1. Buddhists speak of becoming ensnared in cycles of rebirth but anatman theory says that the very notion of the soul is illusory. Therefore reincarnation doesn’t really occur. It only seems to occur until one is liberated from a false belief in individuality. 2. The subtle body is described as an inner spiritual body. For more about Ramakrishna see http://earthpages.wordpress.com/2011/02/10/karma-transfer. Christianity contains an idea similar to karma transfer. Saint Kowalska (1905-38) writes that she received the sins of others, suffering dearly to prevent their fall to hell. In Catholicism this brings to mind the idea of “victim souls” who allegedly suffer mostly for the benefit of others, an idea popular in certain Catholic circles. The main difference between the ideas of victim souls and karma transfer is that most Christians don’t believe in reincarnation. 3. Thomas H. Green S. J., Weeds Among the Wheat – Discernment: Where Prayer and Action Meet, Notre Dame, IN: Ave Maria Press, 1984, p. 41). If we’re all imperfect, the development of true discernment is probably a lifelong process. Some believe the Holy Spirit can override personal biases—i.e. an imperfect person makes a perfect discernment. We can also differentiate between (a) the initial discernment and (b) one’s reaction to and interpretation of that discernment. 4. Those political and religious figures behind the Inquisitions and the cruel torture of so-called witches in the Middle Ages would fall into this juvenile and horrific personality type. 5. (a) David Darling, Deep Time (New York: Delacorte Press, 1989), pp. 187-188. 6. Roderick Main. Jung on Synchroncity and the Paranormal (Princeton, NJ: Princeton University Press, 1997), p. 18. 7. Subjects whose brainwaves are measured during meditative states reportedly feel as if they travel through time. However, it is possible (if one is willing to consider that departed souls could influence the living) that one could confuse the presence of a departed person for the presence of a person living in another historical time period, and vice versa. 8. By way of contrast, the Cambridge biochemist Rupert Sheldrake says in Dog’s That Know When Their Owners Are Coming Home that past habits, not the future, influence the present (New York: Crown Publishers, 1999: 305). 9. The idea of multidimensionality was forwarded by Jane Roberts with some interesting differences, most notably Roberts’ advocacy of interactive parallel universes containing rainbow-like variations of the self. 10. (a) This would not upset the Austrian philosopher of science Karl Popper. For Popper, scientific statements cannot be proved, only disproved. Popper’s assertion is open to various avenues of debate, beyond the scope of this article. (b) George P. Hansen recounts a lab experiment that could be taken as support for the idea of the future influencing the present. See George P. Hansen, The Trickster and the Paranormal (Xlibris, 2001: 328-336, 342). 13. It should be noted that conscientious believers in reincarnation say we must make positive choices to overcome bad karma. And, again, most believe that God’s grace can lessen the negative impact of bad karma. But still, the idea of karma is often abused around the world in a flimsy attempt to legitimize disparity and other social problems. Benford, Gregory, Timescape (Bantam, 1992). A sci-fi novel informed by scientists. Flood, Raymond and Michael Lockwood (eds. ), The Nature of Time (Blackwell, 1988). Hawking, Stephen, A Brief History of Time: From the Big Bang to Black Holes (Bantam, 1990). Paige, Huw, Time’s Arrow and Archimedes’ Point: New Directions for the Physics of Time (Oxford, 1996). Farewell to Karma © Michael Clark, 2013 (revised February 9, 2019). I can’t help but remain skeptical of interactions between various points in time. 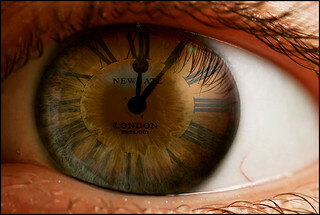 We have an intuitive understanding of time as a linear flow of events, in which the present is the only “real” moment. Of course, modern cosmologists have very different theories of time. However, it’s important to remember that many of these cosmologists are materialists. As a result, they reduce time to a spatial dimension, which is perfect for their equations. Unfortunately, they’re not actually talking about “true” time, which transcends all concrete entities (except perhaps God). In order to explain past-life memories, there’s another alternative to reincarnation, obsession, and multi-dimensional time. Some past-life memories could be the result of psychic abilities. Even though the past isn’t “real”, it’s still the foundation of the present. Some people believe that all past events are “recorded”; these records could be accessed by psychics. Thanks for an excellent comment. I guess you’re talking about the notion of ‘akashic records,’ or something like that? You’re right. It is another possibility. However, I think I’m alluding to a kind of psi phenomenon when talking about genetically hard-wired ‘sensitives.’ Albeit, I agree that I’m talking about possibly going through, as opposed to accessing a cosmic memory of, time. Funny thing about time is that it seems to be relative to velocity. To my mind this says, if one agrees with that theory, that we’re all in slightly different ‘times’ to begin with… which, I think, might support the notion that time could exist ‘all at once’ in an interactive dynamic. Hi this is an old article and not that well written (I was transitioning from an academic to journalistic style). So if there’s any misunderstanding, that might have something to do with it. But having said that, I just looked over it very quickly and saw my use of the words “some” and “many” when talking about believers in reincarnation. This kind of usage does not lend itself to generalization! Also, I touch on different schools with their particular beliefs. But if I missed something that clearly indicates I’m generalizing, please pinpoint it and I’ll consider it in its context. Thanks. theistic schools believe that God (and God’s mind) differs from God’s creation (to include the universe, heaven, purgatory and hell).